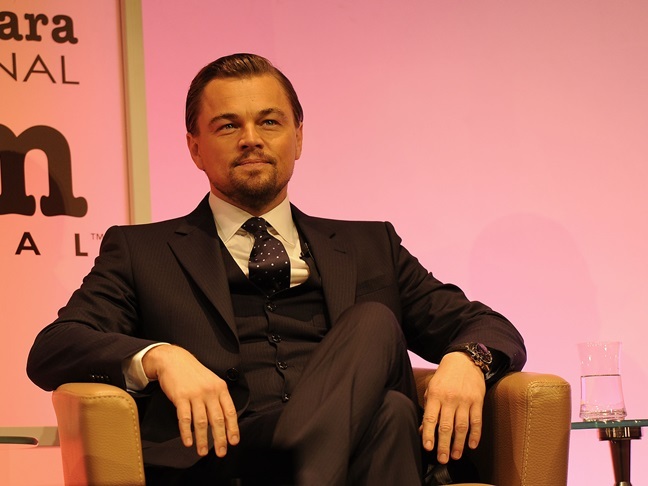 Wolf of Wall Street actor Leonardo DiCaprio sat down for a candid talk about his life growing up in the not so glamorous neighborhoods in Hollywood and what motivated him to take the leap into acting. He also shares that he's never touched drugs in his life, a rare feat in his industry. Leonardo shared that the area he grew up in until he was about nine years old was pretty seedy, "I try to tell my godson, who lives close to that area, what it was like, how there used to be a major prostitution ring on my street corner, crime and violence everywhere. I'm not sure he believes me. It's hipster central, totally gentrified now. The Waterbed Hotel? I don't think that's there anymore." The future Titanic actor won a scholarship to a private school in his elementary years and was in awe of how the other half lived in Beverly Hills, "It was like this little Garden of Eden. There was a park and kids were playing in the sunshine and everything was multicultural, everything was peaceful, every religion and race and attitude was respected equally. And if I went to play with my friends, I would drive to Beverly Hills and go in their backyard and there'd be a waterfall there. I mean, a waterfall! In the backyard? What the …"
Going back to the public school at fifteen is what prompted him to dive into acting…so he could avoid school. "When I went back to the public school system, it was like — boom — this is reality. I got beat up the day I arrived because I had the attitude of everyone living harmoniously with one another. That was the motivational thing that happened to me in my life. I was 15, and I said to my mom, 'I want to be an actor. Please take me to auditions.' Because I had to get out of that public school system." Leonardo survived that transition of teen actor to adult without ever succumbing to the temptation of drugs. He swears he's never touched them! "Never done it. That's because I saw this stuff literally every day when I was 3 or 4 years old. So Hollywood was a walk in the park for me…. I'd go to parties and it was there and, yeah, there's that temptation. Hollywood is a very volatile place where artists come in and they essentially say they want to belong. It's incredibly vulnerable to be an actor and also get criticism at a young age when you're formulating who you are. We've seen a lot of people fall victim to that, and it's very unfortunate."